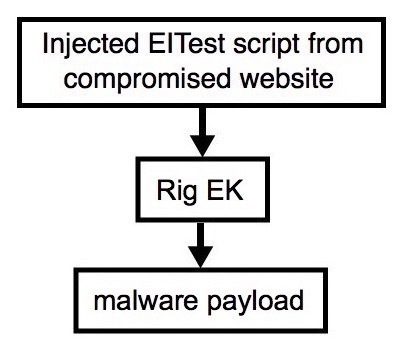 The EITest payload from Rig EK is some sort of ransomware. I saw alerts for MSIL/Matrix ransomware, but this appears to be a new variant. 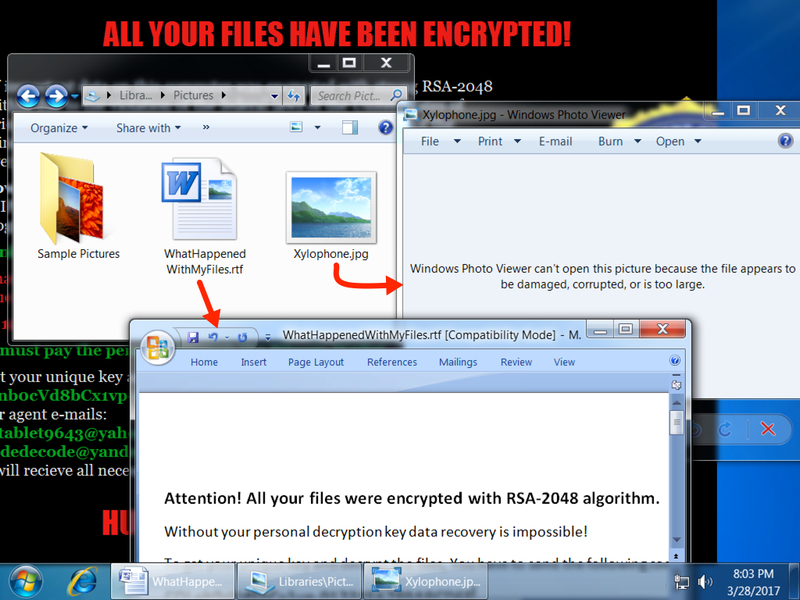 Names for any of the encrypted files do not change with this ransomware. There's an HTA file that's in the registry for persistence during rebooting. The HTA file sets itself as the desktop background (something I hadn't seen before). See the images section for more details. Shown above: No file name changes, and the directions are in an RTF file. Shown above: Registry entry made for persistence of the HTA file.